NYFW is always a whirlwind of an experience. Yesterday marked my last day of shows, so I decided to share this little recap with you all of my adventures. I saw several of my favorite shows, like Alice & Olivia, Rebecca Minkoff, Betsey Johnson, Anna Sui and more. It is always an exciting time seeing what is in store for the next season and I feel so lucky to have the chance to see it first hand. Anyway, today is yet another snow day in NYC. You cannot believe how many of these we have had as of lately! So ready for next week... I am going on a trip to a tropical paradise and I cannot wait to share it with you all soon! Yum, those macaroons look awesome! This snow has been so tiresome, but I think this one's the last of it! Have a blast in the tropics. Lovely images! Those macaroons are so pretty! I'll see one of the shows on NYFW one day. 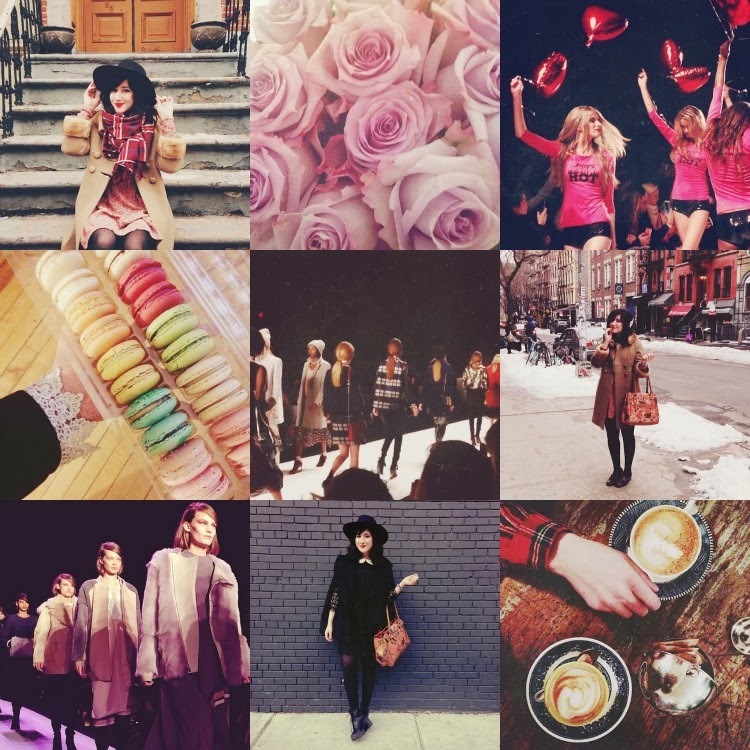 I adore your amazing life on Instagram! NYFW looks so tempting, I wanna be there too!! Wow lovely instagram snaps :D hope you had a great time! Those macroons look ah-MAH-zing! What shop did you get them at?